Gwendolyn Brooks' Indispensable 'Maud Martha' Gwendolyn Brooks, the Pulitzer Prize-winning poet who died in 2000, published only one work of fiction for adults: Maud Martha. Author Asali Solomon says Brooks tells this coming-of-age tale with "minimal drama and maximal beauty." Asali Solomon was born and raised in West Philadelphia. Her first book, a collection of stories entitled Get Down, set mostly in Philadelphia, will be released by Farrar, Straus and Giroux on Oct. 24. Solomon's work has been featured in Vibe, Essence, and the anthology Naked: Black Women Bare All About Their Skin, Hair, Hips, Lips and Other Parts. 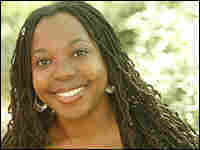 She received the Rona Jaffe Foundation Writers' Award for the stories in Get Down. Though she has a Ph.D. in English and an MFA in creative writing and teaches at Washington and Lee University, she is still not sure whether to call Maud Martha a novel or a novella. Call them buttonhole books, the ones you urge passionately on friends, colleagues and passersby. All readers have them -- and so do writers. All Things Considered talks with writers about their favorite buttonhole books. Gwendolyn Brooks, the Pulitzer Prize-winning poet who died in 2000, published only one work of fiction for adults: the indispensable Maud Martha, a novella made up of 34 vignettes. 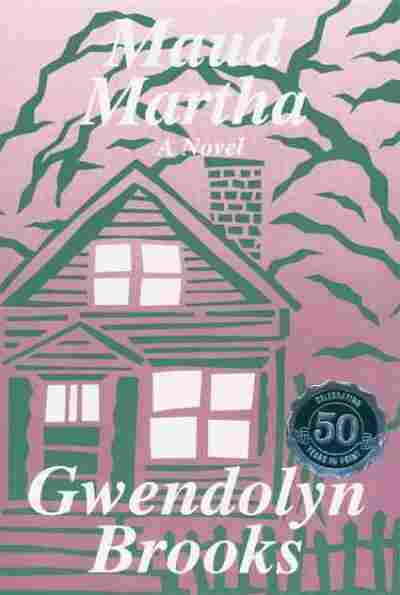 Published in 1953, Maud Martha is the story of a girl who becomes a woman in 1940s black Chicago, told with minimal drama and maximal beauty. The plot here resembles your life or mine: good days and bad, no headlines. But Maud Martha's riotous parade of human feeling will make you wonder what Brooks could have done with your life story. Though Maud never travels far from home, her restless imagination ranges widely. She understands the overweight girl at school who refuses to run in order to preserve her poise. Maud also deeply imagines the plight of those close to her, such as her husband Paul, who would rather be married to a lighter-skinned woman. Maud even mind-melds with lesser beings, including a mouse she catches and then sets free in an exuberant act of generosity, and a chicken whose dignity she acknowledges even while pulling out its guts to prepare it for the oven. It's easy to love the character of Maud, who is loyal, smart, and makes hot chocolate so rich that even her high-strung, critical mother must praise it. Perhaps even more enchanting than the book's heroine is its language. I reread Maud Martha when I'm craving its creature comforts -- the "polished apples in a water green bowl" -- of Maud's childhood autumns and the "little diamond-shaped cheeses that paprika had but breathed on," which appear in her fantasies of New York. I also admire Brooks' skill at gracefully evoking the nastiness of life: the "thick fumes" smelling of "gray" in Maud's tiny apartment, the "soaked tissue" of cheap barbecue that her tacky husband brings home for Christmas night, and "the scraps of baffled hate" she occasionally experiences. Brooks collapses distinctions between poetry and prose, ending many of the chapters with elliptical but potent musings. In "You're Being So Good, So Kind," young Maud awaits a visit from a white schoolmate, and suddenly becomes aware and ashamed of her feelings of gratitude to the boy for visiting a black household. We never witness the encounter. Rather, the scene ends with a haunting little verse: Recipient and benefactor./ It's so good of you./ You're being so good." Years later, when Paul takes pregnant Maud to a dance only to spend all night romancing a girl with a "gold spangled bosom," Maud briefly considers attacking her rival, only to conclude that, "if the root was sour what business did she have up there hacking at a leaf?" Like Gwendolyn Brooks' poetry, Maud Martha shows a passionate love for ordinary people: hairdressers, hoodlums, snobs, plainly pretty girls and homely little boys. And like her best-loved poems, this novella is not only the chronicle of one small life, but a mirror reflecting for each reader what shines and shimmers at the edges of his or her everyday existence. NPR's Ellen Silva produced and edited this series.